The ‘Roaring Twenties’ were bad years for booze manufacturers but the best of times for North America’s automobile makers. While the period of Prohibition that began in 1920 turned every bar owner and customer into a potential jailbird, car ownership swelled and ‘middle class’ buyers enjoyed an abundance of choice. Frederick C. Chandler and a group of associates had been working for the little-known Lozier before striking out in 1913 to build a car of comparable quality but with a greater chance at commercial success. Their factory was established in Cleveland, Ohio’s industrial hub and a city that today stands as a shrine among Ford enthusiasts. 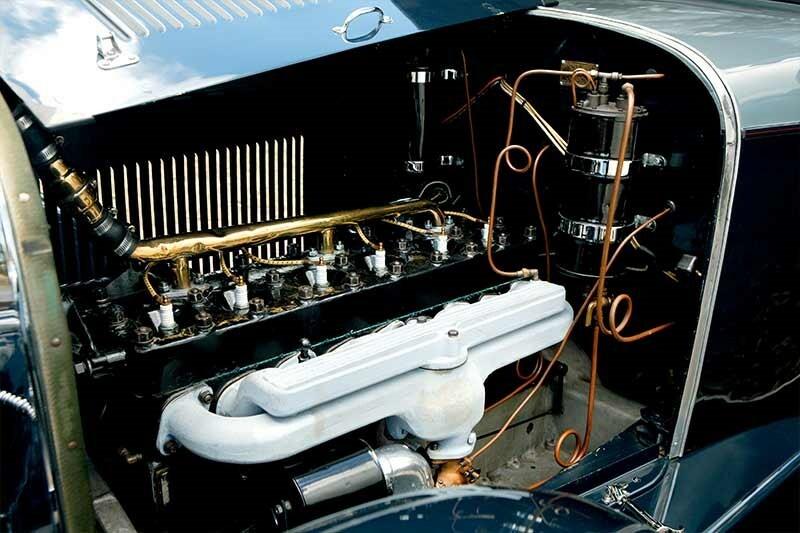 was a six-cylinder and uncannily similar to the Lozier unit. Fred Chandler was nonetheless determined to emphasise his car’s individuality and design advantages, which were highlighted in a 1915 advertisement headed "Which Light Weight Six Are You Going To Buy?" The question became a little easier to answer when the brand’s 1916 advertising campaign trumpeted "The Most Extraordinary Announcement In Automotive History." No, Chandler hadn’t invented the cup-holder, it was simply revealing a $300 reduction in the price of its already-successful five-passenger Tourer. 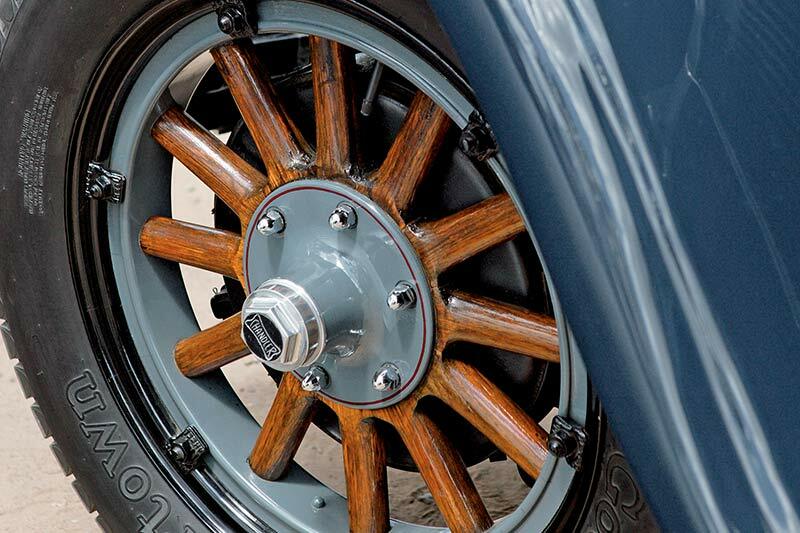 Features of the 1916 model were plentiful and, at $1295, it certainly represented value for money. 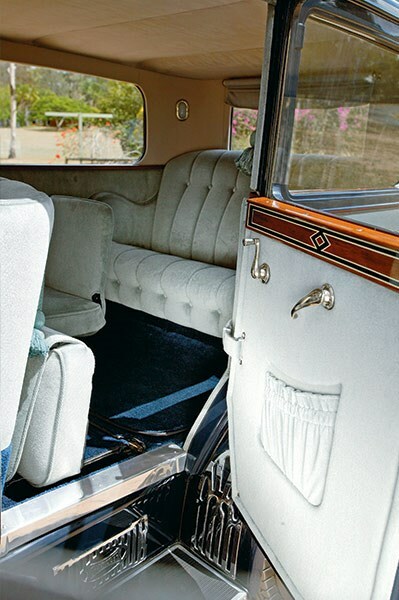 Helping attract female motorists were an electric starter and single-action Golde top with side curtains. 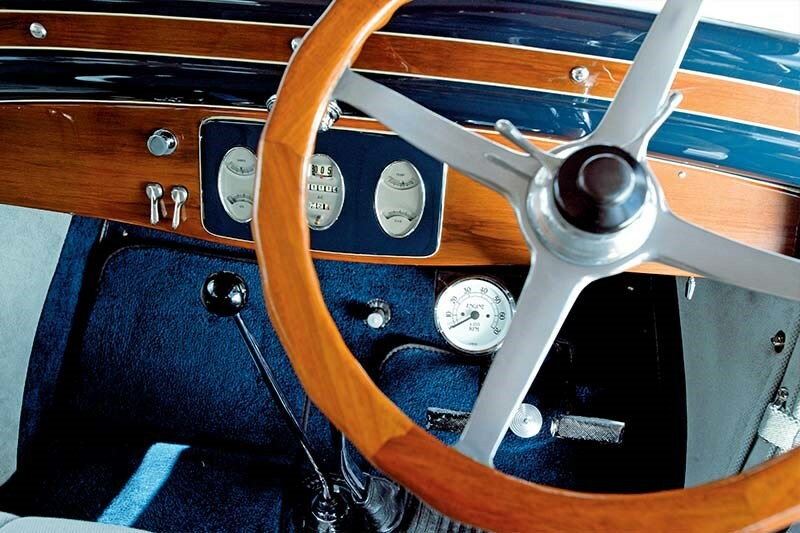 The trim was hand-buffed leather – as opposed to the more plebeian machine-buffed hide – and the car was claimed to achieve 16mpg with a top speed of 55mph. 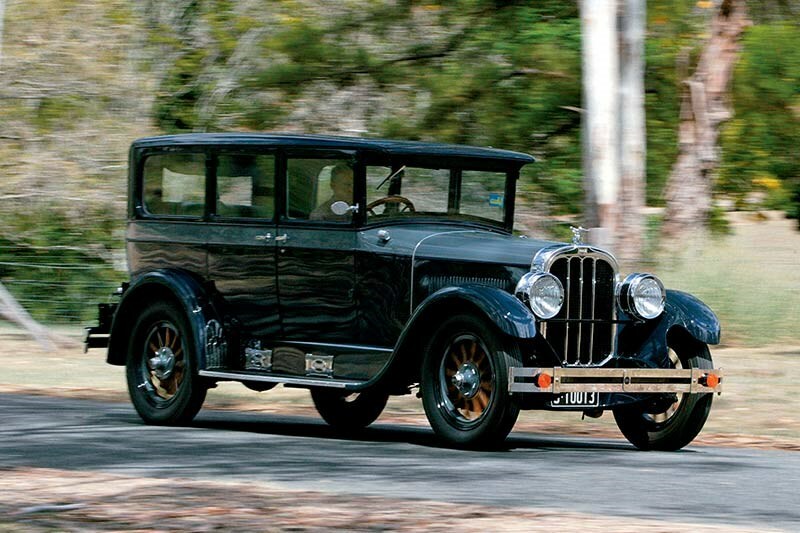 The aggressive price ploy worked and Chandler during 1916 sold 3910 cars – the brand’s highest annual total until 1920. The range was bigger as well and included a roadster that sold for the same price as the tourer. A sedan had been introduced in 1915 and priced identically to the limousine but for 1916 its cost was cut by $200 to a more appealing $2250. Regular readers of this column will almost certainly guess how Chandler set about promoting the quality of its products. That’s right – they took the show on the road via a series of ambitious ‘durability trials’. later. The Chandler used for the run was claimed to have completed its ordeal without needing major service or even a tyre change. 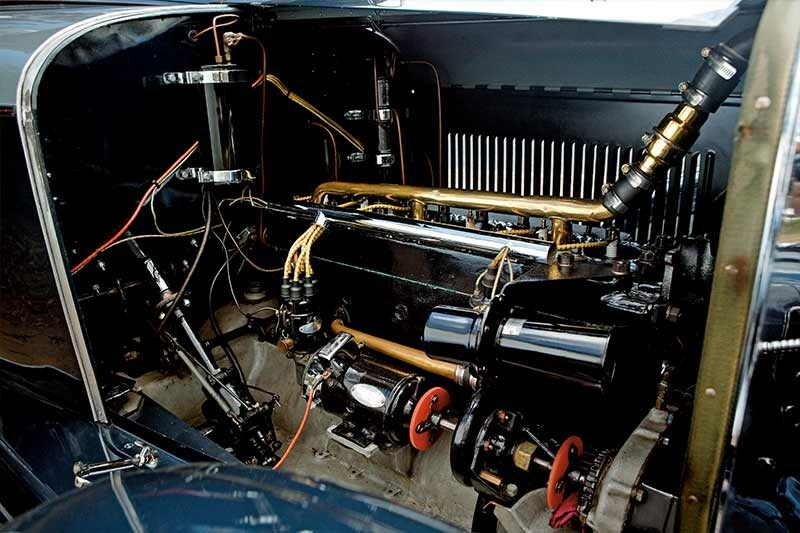 Rough and steep terrain didn’t daunt Chandler, which in 1923 set a record for the Pike’s Peak hillclimb and renamed its six-cylinder engine in honour of the feat. This was followed in 1926 by a record more in keeping with a sports car than a conservative six-cylinder roadster when racing driver Ralph Mulford travelled 1000miles (1610km) in less than 12 hours at an average speed of 137km/h. The USA wasn’t the only market to employ these tactics. The company’s Australian distributor highlighted in its advertising for the brand ‘Another Overland Trek’ that described a journey, undertaken shortly after WWI, from Sydney to Adelaide. 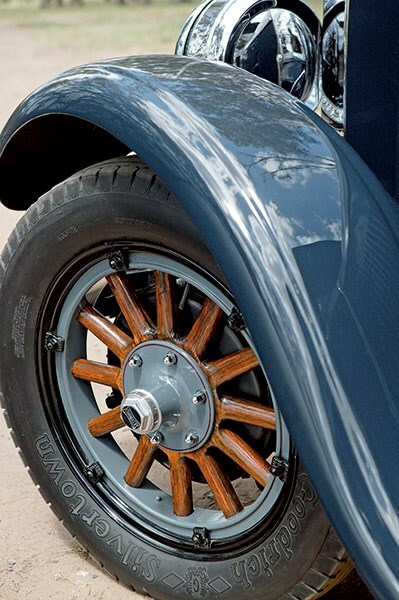 By 1919 when a post-WWI recession struck, Chandler was well-established and generating sufficient profit to launch a line of budget-priced models with ‘Cleveland’ badging. 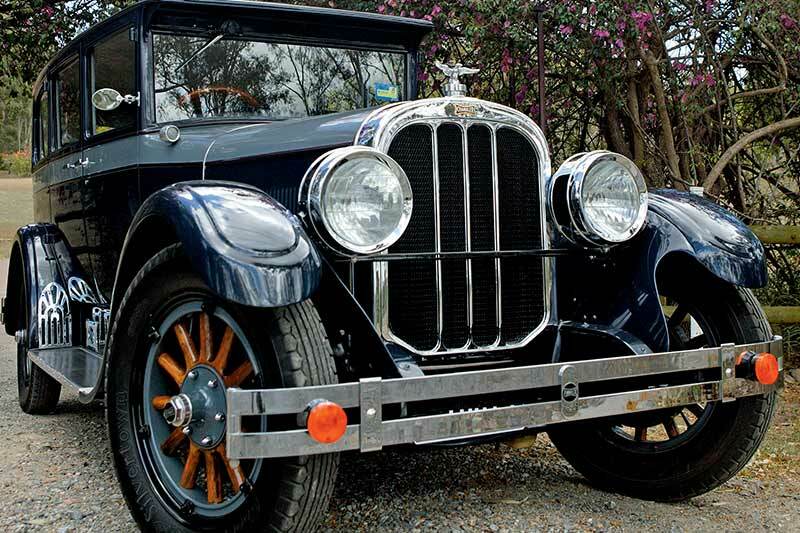 That year also brought for the Chandler range a 10 percent gain in power coupled to a 12.5 percent price increase but sales still climbed by 200 units on 1918 and would rise a further 1000 cars during 1920. As the decade progressed, things were going well for Chandler. Sales for 1923 leapt to more than 11,000 and topped 20,000 during the company’s peak year of 1926. The range by that time had grown to 10 models, including a compact Chummy sedan. 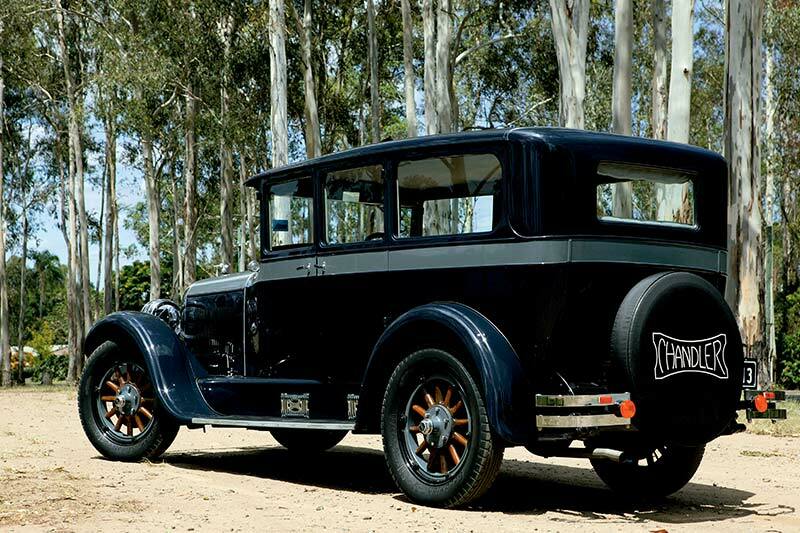 A year later, Bryson Talamini’s 1927 Big Six sedan was built and shipped to Australia. in 1990 was delivered complete with a factory-fitted Budd body. It was sold through Consolidated Motors in Sydney to a western NSW wheat farmer and reportedly used until the 1950s when mechanical failure saw it abandoned in a backyard. The car was rescued some time later by a neighbour who intended to undertake a restoration but instead he allowed it to further deteriorate. "It had spent a long time in the open and the body was pretty far gone," Talamini said. "Luckily for me the car was close to complete, so I didn’t need to search for or make too many parts. "The only major problem came from the interior handles that were missing. I had no luck finding replacements until eventually a Chandler-Cleveland Motor Club member in the USA turned up one of each and I had new ones cast in bronze." 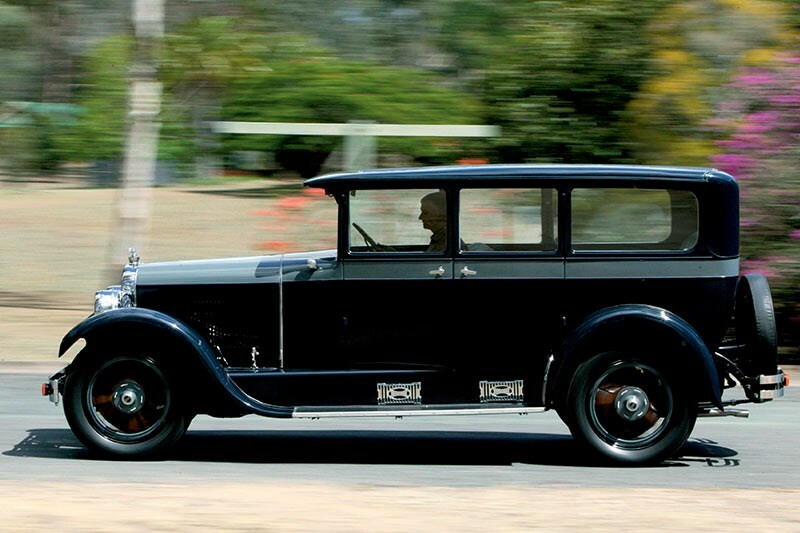 Having already restored a 1926 model Roadster, Talamini sent the body to Joe Wilson’s Brisbane-based Veteran & Vintage Services. 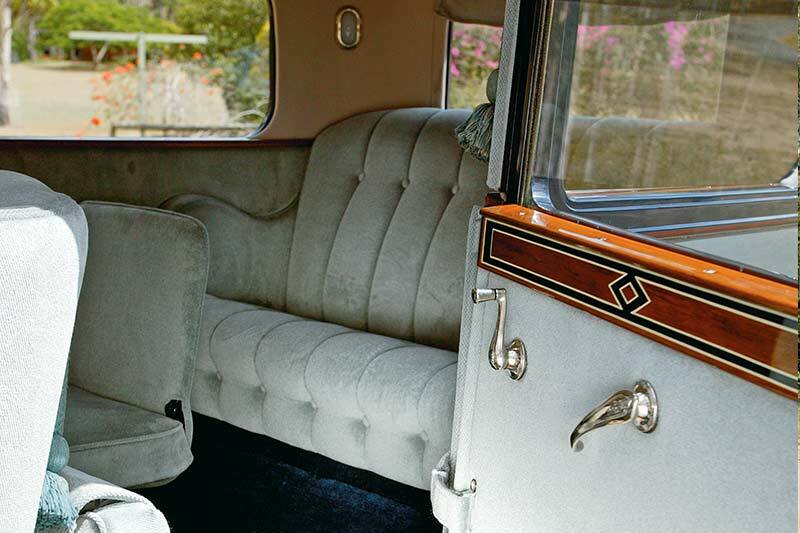 It was returned in 1998, finished in an elegant colour combination of grey and dark blue with matching cloth interior trim. While the front seat is relatively cramped, those seated behind ride in spacious luxury and wouldn’t be too deprived of leg-room even when the rearward-facing ‘jump’ seats were being used. As the owner of several beautifully-presented cars, Talamini can’t find time to use them more than infrequently and has decided to sell the Chandler for a fraction of its restoration cost. Call (07) 3202 7136 if you are interested in owning this elegant and rare vintage car. As its cars grew in size and complexity, Chandler needed to offer increased power and for 1927 announced an eight-cylinder Royal. 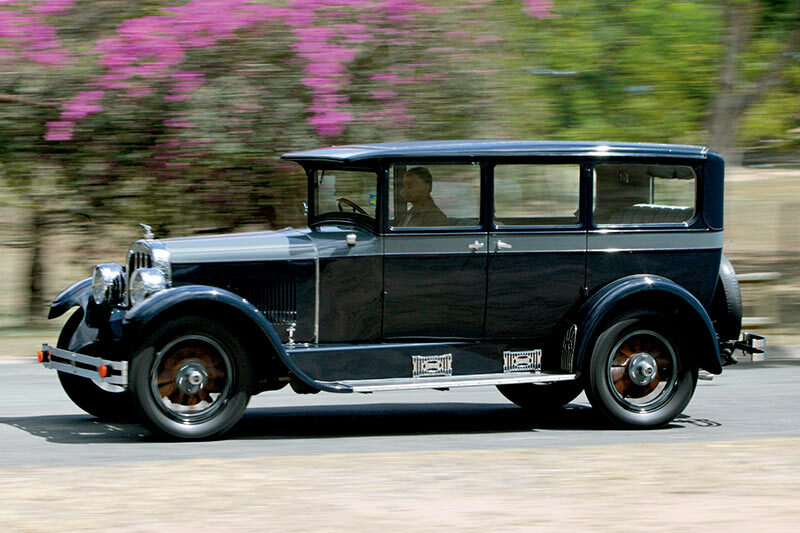 These cars were built on the standard 124inch wheelbase and, for 1929 only, as the compact ‘Royal 75’. There the Chandler story was forced to conclude. 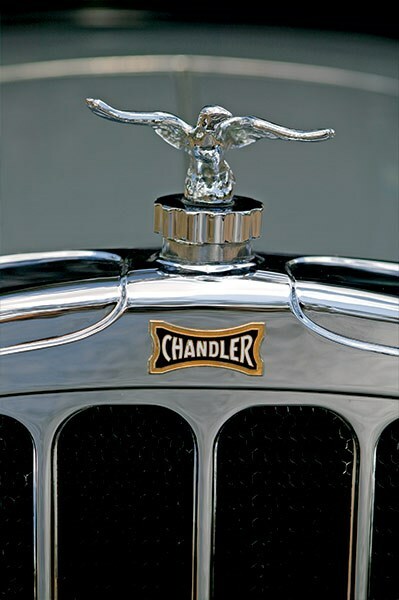 Even before the Great Depression could wreak any havoc, Chandler sold its factory to an expanding Hupmobile and the brand disappeared.